March 9th was the first round of the competition between Lee Se-dol, one of the World's best Go players, and Google's artificial intelligence program "AlphaGo". The first and second matches took place in Seoul, South Korea and so far, AlphaGo is winning. The next matches will be on March 12th, 13th, and 15th. 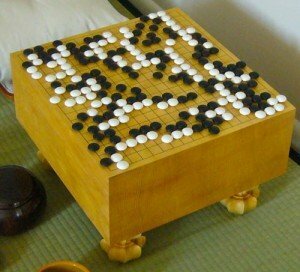 Let your class decide how many plays are possible and perhaps play on a simpler board of Go that we've supplied below. For members we have an editable Word docx, solutions, and hints.